Spring father-daughter party. Following the dance by the dressed up fathers and daughters, different activities (e.g. a magic show) take place every year. MORI LIVING, currently with 23 rental residences, offers a wide range of cultural events throughout the year to inspire residents’ interest and curiosity, as well as to build a vibrant sense of community. The mission of MORI LIVING is to offer not only a comfortable living space, but also exciting urban life experiences and new encounters. In order to embrace the Hills lifestyle and to build community, MORI LIVING organizes a wide range of cultural events for its residents. Some are casual and some are affiliated with the Hills’ art programs. Close to 50 unique and stimulating seasonal events are held each year. Autumn rooftop BBQ. 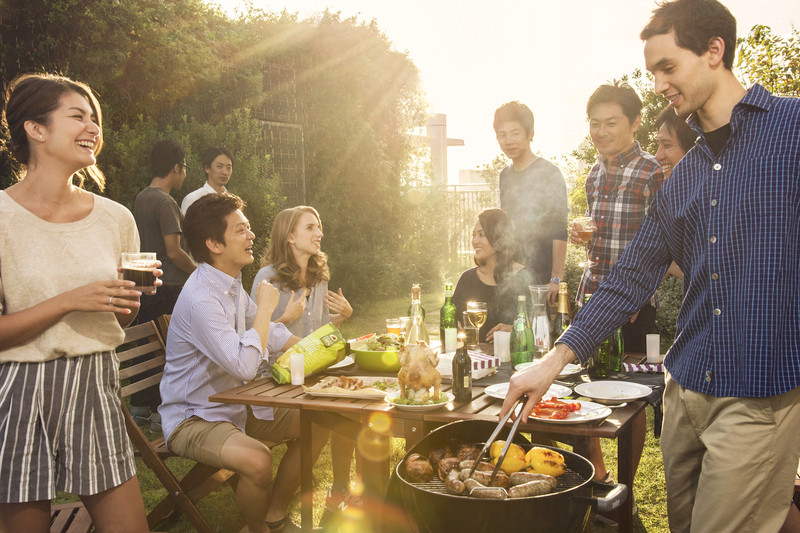 The rooftop garden at Roppongi Sakura-zaka Residence is equipped with BBQ facilities, and residents relax with other families while grilling juicy meat and fresh vegetables. The background of the residents at the 23 MORI LIVING residences is diverse. By contributing to the urban infrastructure itself through art and culture and leveraging the resources of the Mori Building Company, the events thrives in meeting the range of interests of residents from different nationalities, ages and family structures. “Through years of trial and error, we now have a good number of annual events. We take people’s feedback seriously and always look for room to make our program better” says the program manager. The exclusive Art Night Guide Tour at Roppongi Hills from last May is a great example. “It was a guided tour to visit artwork installed throughout Roppongi during Roppongi Art Night, one of Tokyo’s popular art festivals. For our second year participating in this event, we invited the art producer, Keizo Maeda, who has close relationships with many of the artists, to be our guide. He led one tour in Japanese and another in English, which was very well received.” There was no frustration from having an interpreter in terms of time loss. And many people enjoyed sharing his professional perspective on art in a relaxed atmosphere. The annual MORI LIVING CUP in spring has become a popular event. People who play a round together during the event sometimes end up playing together again on their own. These kinds of stories make the program staff proud. They are delighted to learn the event they organize connects their residents with others who they wouldn’t have met and interacted with otherwise. 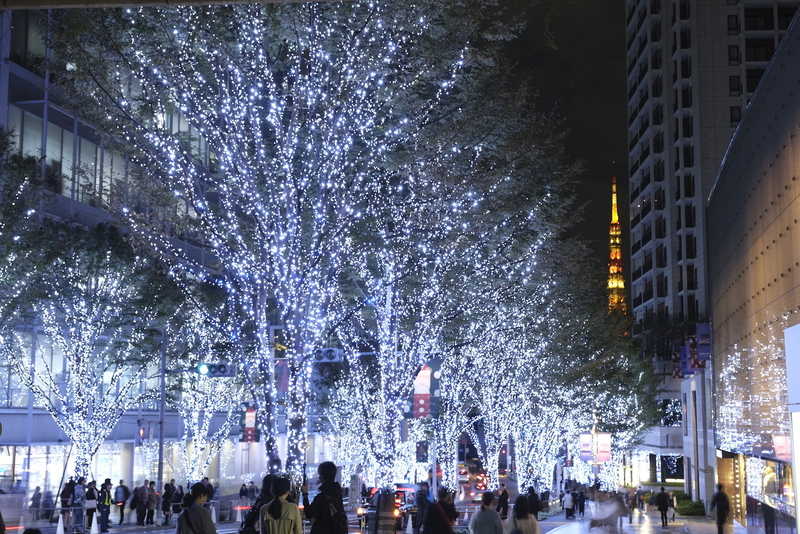 Roppongi Hills is lit up each year for the Christmas season. In addition to self-organized events, MORI LIVING also offers collaborative events with their commercial partners at Roppongi Hills and Omotesando Hills. The Halloween Party at Roppongi Hills and ARK Hills Residence, and Jingu Fireworks Viewing at The Prudential Tower Residences are catalysts to build community among residents. City Bird Watching and Rice Planting/Harvesting allow residents to experience nature in the city and this idea coincides with the environmental concept of Mori Building Company including developing urban greening by vertical integration of buildings. It may not be overstating the case to say the real value of living in a MORI LIVING apartment is the range of unique experiences offered to all.